Development and Peace’s program in Paraguay aims to raise awareness on how to influence public policy so that the standard of living of the population can improve and to train community leaders who can establish a sustainable development model. Tomás Ascurra, a young farmer and member of COSOR, a Development and Peace partner. 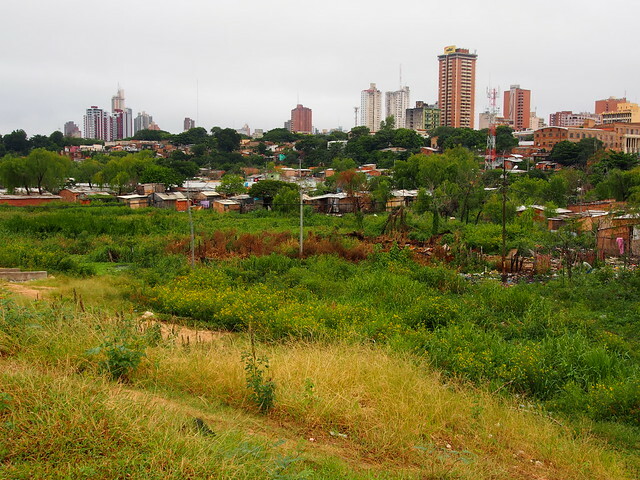 Our partners help reinforce citizen participation, for instance, by defending the rights of poor communities in the capital of Asunción that are under threat of forced eviction by the municipal government, without consultation or a proper relocation plan. Our organization also supports groups that are mobilizing to demand land reform and access to land for small rural farmers whose crops are for local consumption. Paraguay is characterized by great income and land ownership disparities, which are some of the largest in Latin America. The Paraguayan people remain marked by the dictatorship of Alfredo Stroessner, who ruled the country from 1954 to 1989. With the return of his Colorado Party to power, there has been a noted increase in violence against peasants and in human rights violations. The departments in Paraguay where Development and Peace supports vulnerable communities, including many peasant and indigenous communities. Land reform is more necessary than ever in a country where agribusiness and land acquisition by foreign companies is intensifying and where conflicts caused by seizures of land and natural resources have reached a peak. Paraguay is particularly noteworthy because there is no personal income tax or export tax on soybeans, a genuine “green gold” in a country where 2.5 percent of all landowners hold 85 percent of fertile land. An era of systematic violations of human rights came to an end in Paraguay following the fall of the dictatorship of General Alfredo Stroessner (1954-1989), who headed one of the most brutal regimes on the continent.